It's time to decide whether Apple's iPad deserves your hard earned cash. The hotly anticipated iPad is just weeks away from launching in Australia, and now that pricing has finally been unveiled, it's time to decide whether Apple's latest gadget deserves your hard earned cash. The iPad will follow in the footsteps of the iPhone and become an immensely popular and much sought after gadget when it hits the Australian market on May 28. For those who don't know, the Apple iPad is a tablet that looks rather like an oversized iPod Touch. It is a new category of device that will sit in between a smartphone and a notebook computer. So, should you buy it? 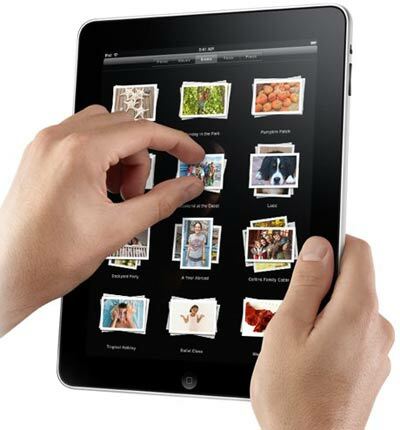 Apple's iPad is best described as a media consumption device, ideal for watching videos, viewing photos, reading books and browsing the Internet. 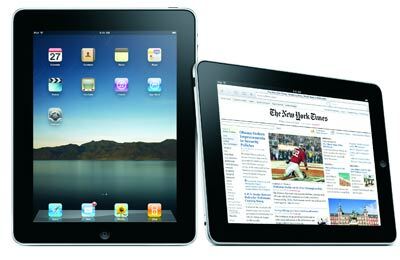 The Apple iPad has been designed for consuming media — watching videos, viewing photos, reading books and browsing the Internet. Its best described as a media consumption device, rather than a media creation device. If you're interested in typing up long documents or creating a 70-page PowerPoint slideshow, then the iPad isn't for you. All in all, it's important to understand that the iPad is not a netbook or notebook replacement — and it wasn't designed to be. If you already own an iPhone, it's also not going to wow you as it might someone who doesn't own one. The iPad's many appealing features include an excellent design, an outstanding screen, access to the App Store, excellent battery life and impressive performance overall. On the whole, the iPad is a very entertaining device and it is a nice glimpse into the future of media consumption. The iPad is a media consumption device that's currently a little limited due to the lack of readily available content, such as newspapers, magazines and books. Sure, there will be plenty of decent books in the iBook store, but until the range can rival your local bookshop, the iPad remains more of a luxury, wow-factor item than an essential purchase. The iPad also has a display that is virtually impossible to see in direct sunlight, which is a huge issue on a device that's designed for portability. It lacks a USB port and a memory card reader (a critical oversight on a device that's perfect for viewing and storing photos), and also lacks a built-in camera. Apple is launching a total of six iPad models — three with Wi-Fi and another three with Wi-Fi and 3G connectivity. The Wi-Fi+3G iPads use a micro-SIM card (a smaller version of a regular SIM card found in mobile phones) to access a telco's network, in much the same way a smartphone accesses the Internet. Both Wi-Fi and Wi-Fi+3G models of the iPad will be available in 16GB, 32GB and 64GB versions. Can I download iPad apps? Yes. The App Store will be at the forefront of the iPad experience. Almost all of the 140,000-odd iPhone apps available at the moment will work with the iPad, and this number will continue to increase. There will also be iPad-specific apps available, and these will be designed to take advantage of the device's larger form factor. A number of developers have already committed to specific iPad apps, including Australian developer Firemint (creator of Flight Control), Funburger (Puzzle Path) and Mogeneration (FoodWatch NSW, CoastalWatch and OzWeather). Among the iPad's many appealing are the excellent design, outstanding screen, the App Store, excellent battery life and impressive performance. The iPad will be sold in Australia through the Apple Store, Apple's retail stores and select Apple authorised resellers, but will not be available through telcos like the iPhone is. To pre-order the iPad, customers can visit Apple's Web site. How much will 3G Internet access cost? All data plans are available without a contract but have a 30-day expiry. Telstra will also provide a bonus 2GB of data for customers who activate the iPad prepaid SIM kit before June 30. For prepaid plans, an Optus prepaid starter kit will cost $30 and includes 2GB of data — twice the amount that Telstra includes in its starter pack. Optus prepaid recharges start $15 for 500MB of data with a 15-day expiry and range up to $130 for 14GB of data with an expiry of 60 days. Other prepaid Optus options include $20 (1GB/15 day expiry), $30 (3GB/30 day expiry), $40 (4GB/30 day expiry), $50 ($5GB/30 day expiry), $70 (9GB/60 day expiry), $80 (8GB/186 day expiry), and $100 (12GB/60 day expiry). All Optus post-paid and prepaid iPad plans will be available from May 26, and Optus will also give customers a bonus 1GB of data whenever they recharge before 30 September. VHA, which operates the Vodafone and 3 Mobile networks in Australia, was the last to announce its iPad data pricing, just two days ahead of the iPad launch in Australia. 3 mobile will offer both dedicated prepaid and monthly data plans for iPad with Wi-Fi + 3G models, while Vodafone is strangely only offering prepaid plans. 3 says any "bonus data" will not be available immediately upon recharge but will be credited to an account and available for use within 48 hours of a recharge. All Vodafone and 3 mobile iPad 3G data plans include a free micro SIM starter pack and conveniently, if you recharge before the end of the credit expiry period any unused data will be rolled over to the next month — provided you don't exceed the maximum balance of 14GB. 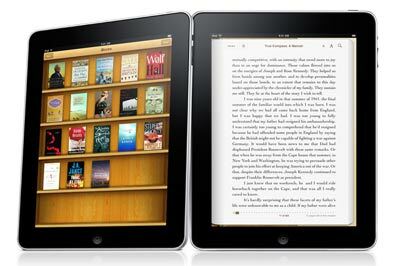 Apple's iBooks app, which includes the iBookstore, will be available as a free download at launch. The launch of the iBookstore was widely expected to be delayed in Australia.